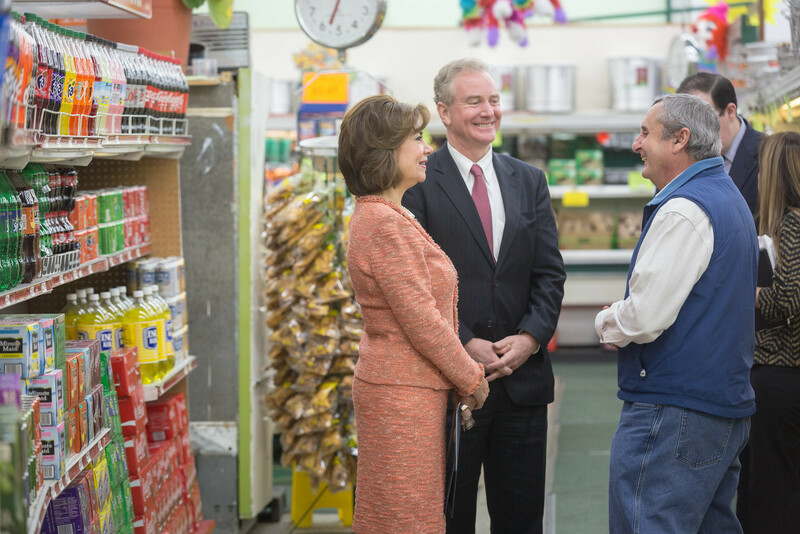 Special Invitation from SBA Administrator Maria Contreras-Sweet: Shop Small This Small Business Saturday! Join me November 29th for Small Business Saturday, an opportunity to support and celebrate your neighborhood retailers and restaurants. More than two out of three Americans are now aware that Small Business Saturday is a day devoted to shopping and dining small. That's why I'm inviting you to share in this special occasion to amplify the lifeblood of our economy. Now in its fifth year, Small Business Saturday has become a critical day on the calendar for entrepreneurs to grow their customer base. This year, we'll harness the power of social media to highlight the exemplary small businesses that make up our communities. Half of all holiday sales are now influenced by digital interactions. In 2013, two out of three shoppers purchased a gift found on social media. From the local clothing boutique with trendy fashion, to the book store that offers your favorite author, these businesses thrive when we bring business through their front doors. Along with an exciting day of shopping, I encourage you to #DineSmall this "Small Business Saturday Night". This year, SBA is partnering with the National Restaurant Association to promote our local restaurants. Eating out on Small Business Saturday will emphasize the accomplishments of small business restaurants across the country while encouraging consumers to patronize eateries in their neighborhoods. Nine out of 10 restaurants have less than 50 employees, and 80 percent of restaurant owners start their careers in entry-level positions. That's why this movement is an important new way to support our hard working food proprietors who give America's Main Street the tastes we love. The partnership will amplify restaurants during the national push to support our nation's small businesses on the busiest shopping weekend of the year. Kicking off Small Business Saturday at Americana Grocery Store in Silver Spring, MD along with Congressman Chris Van Hollen. Owner Joe Rodriguez started the grocery store after emigrating from Cuba and serving in the U.S. Armed Forces. SBA is a voice for small businesses and advocates on behalf of the more than 28 million small businesses. Make sure you let us know what you are doing, via social media, using #SmallBizSat, #ShopSmall, and #DineSmall. PS- To grow momentum this year, I’m inviting restaurants to promote #DineSmall by sharing their special menus for Small Business Saturday Night. Owners and chefs are invited to share their menus on social media using the #ShowUsYourMenu tag. It’s a great way to promote what your restaurant is doing to cater to America’s small shoppers.